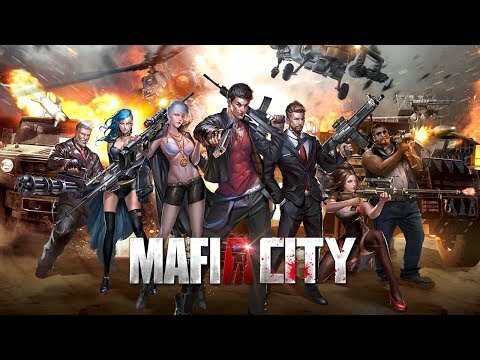 Today I have a game called Mafia City by YottaGames. And this is a game that is a bit different from the games that we have reviewed before. That doesn`t mean that has to be bad. But let’s see what we have in here. Mafia City: War of Underworld is a free-to-play mobile strategy game. Players attack their opponents violently, with a variety of guns and weapons; blood spatters show up on the screen and on the game’s menus. Expect frequent images of alcohol, smoking, casinos, and nightclubs, as well as plenty of strong languages. Which means that this game has a different target of players. Like in the streets this game is pure street language and actions. This strategy game that revolves around becoming a powerful gang leader. The point is to set up shady businesses like casinos and pawnbrokers, collect resources, recruit and train loyal street thugs, and build both your reputation and your base. Most of your time is spent building and upgrading your territory; the rest involves attacking rival gangs. In addition to managing your own territory, you’ve got to deal with clan politics, other gangs, smugglers, investments, and keeping your diamond-obsessed girlfriend happy. There’s little sense of strategy or accomplishment; you tap once to finish a mission and tap again to get a reward. It’s admittedly addictive (n the same way that bells are used to get lab rats addicted to cookies), and Yottagames is counting on that to drive players to cough up loads of real-world cash. They’ve even taken the reward idea a step further, giving players in-game currency in exchange for a five-star review. Take that into account when you’re in the app store and don’t be fooled. The only strategy here comes from a cynical app contriving ways to separate you from your money. Which in my opinion is too far but everyone wants to be on top of every game. There is no shame in that but in my opinion is too obvious and there is not a real reason for that. I don’t think that there is something to talk about here, we all can see that there are some major problems with this game. And the main problem is that isn`t anything to play. Well, I can say this: I gave that game a chance and she blew it!